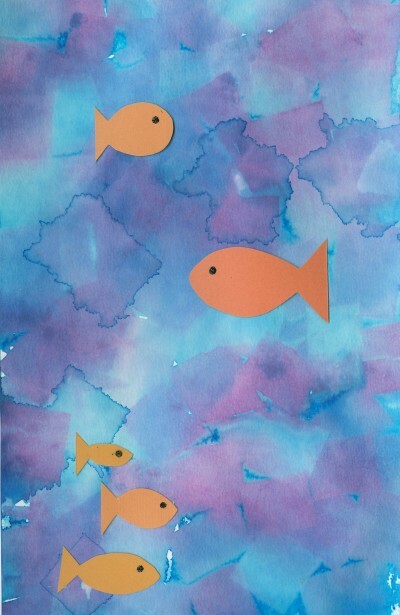 Make a beautiful ocean scene using nothing but tissue paper, cardstock or construction paper, and some drops of water. This is a great project if you have tissue paper that’s too torn or wrinkled to use as gift wrap. Easy and fun for all ages.